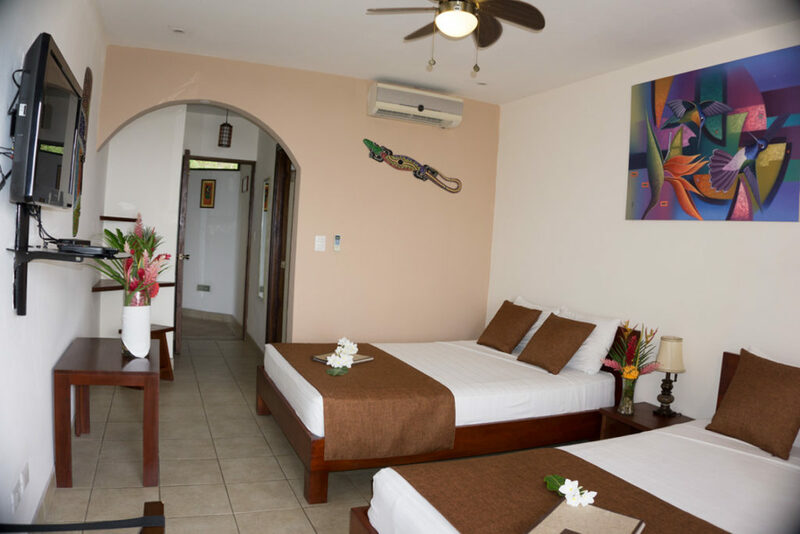 Our inviting Standard Family Rooms are located right in front of the tropical forest and overview lush greenery, Organos Beach and Tortuga Island. 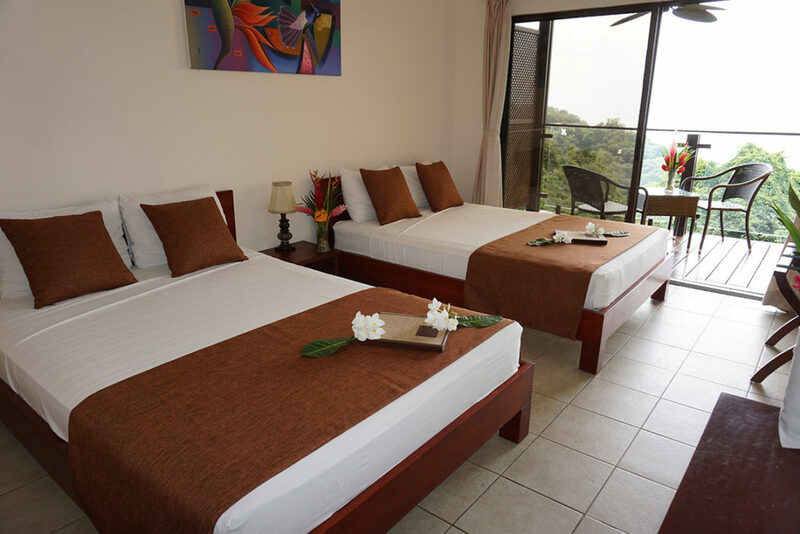 Our Standard Family Rooms are equipped with two queen-size beds. 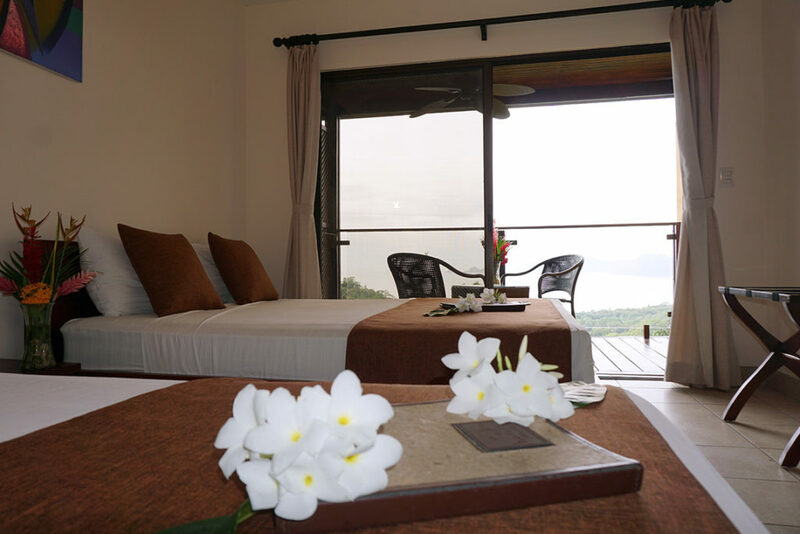 Cotton linens, blackout drapes and the calm and relaxing atmosphere guarantee a good night’s sleep. 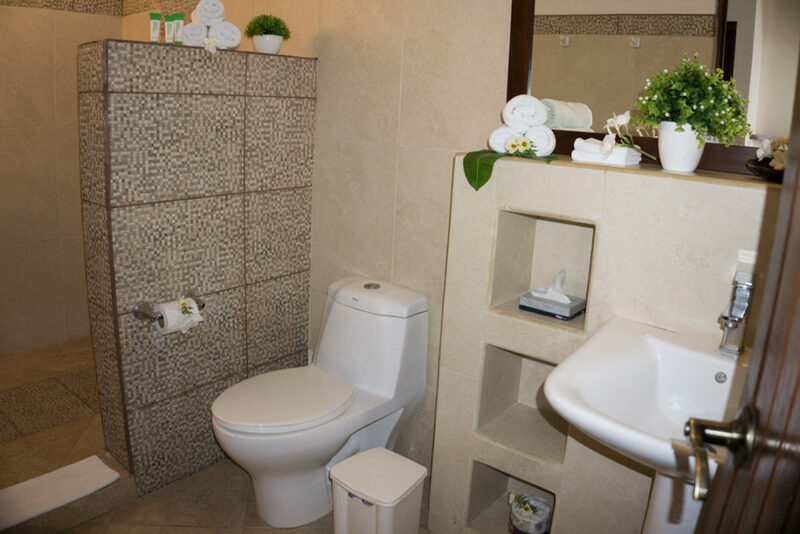 A 32-inch flat-screen television with satellite TV, air conditioning (AC), in-room safe, a little fridge as well as a ceiling fan are amongst the conveniences offered. 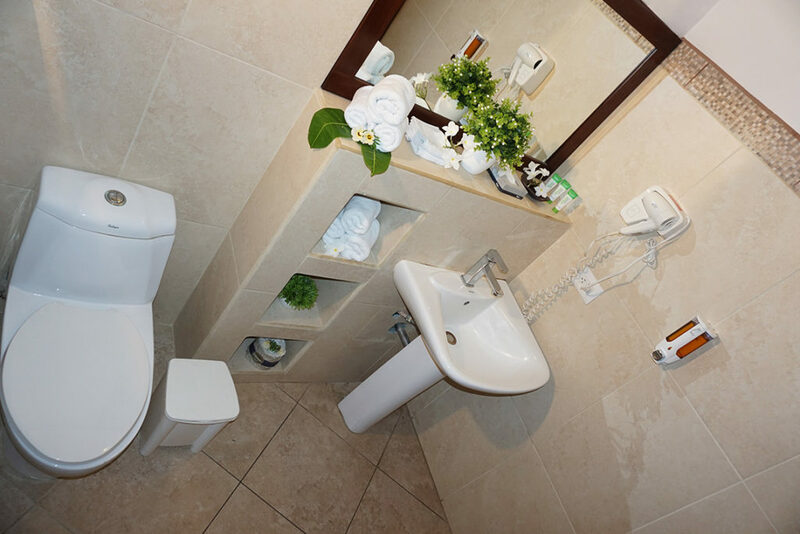 The private bathroom with shower offers complimentary toiletries as well as a hair dryer. 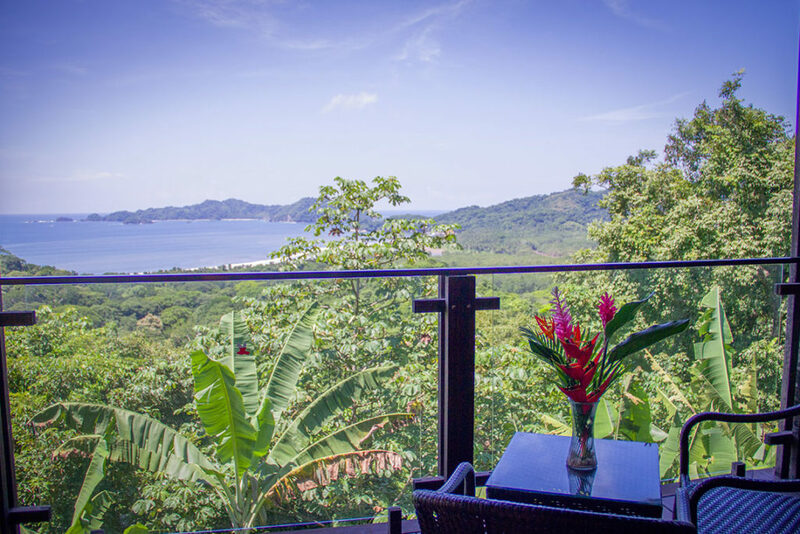 Settle into our cozy Standard Family Room and enjoy the breathtaking view of Tortuga Island from your private balcony.